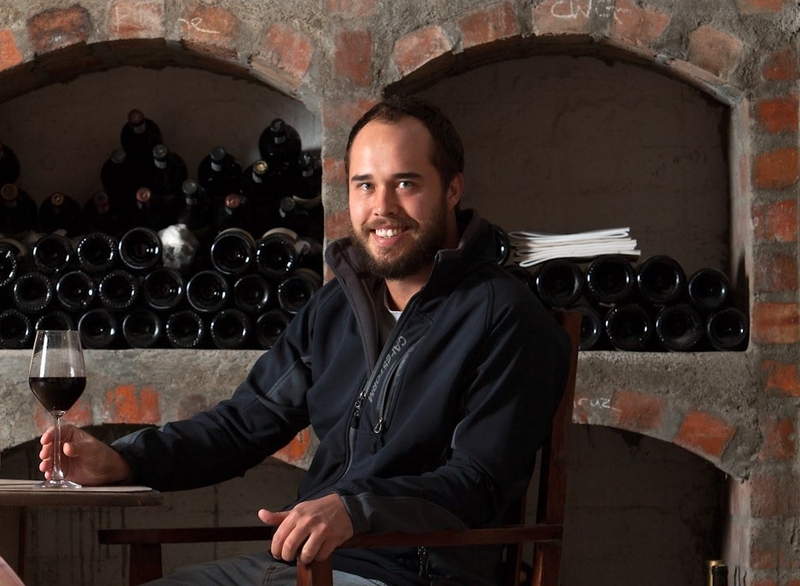 Reenen Borman has a day job, he is the young gun winemaker at the outstanding Boschkloof Estate in Stellenbosch, but that’s not enough to keep this up and coming winemaker busy. Reenen, along with two friends, Henk Cotzee, and Fritz Schoon, have a small boutique wine company named Ronnie B. The range is currently 3 wines, Patatsfontein Chenin Blanc, Patats Blanc, and Sons of Sugarland. These wines represent some of the most exciting winemaking in the Cape. Sons of Sugarland is a stunning single vineyard, single clone (SH 99), 100% whole bunch fermented, naturally fermented Syrah. The Patatsfontein Chenin Blanc hails from the gorgeous and secluded Montagu region. From a 30 year old single vineyard, the grapes were pressed in a wooden hand press, allowed to settle in tank and taken straight to used oak barrel where the wine was naturally fermented and nothing added. This natural and minimalist winemaking approach allows Patatsfontein Chenin Blanc to be a true representation of the terroir. The younger sibling to Patatsfontein is the delicious and quaffable Patatsblanc. Patatsblanc is a Colombard dominant white blend that comes from the Patatsfontein Chenin vineyard and the adjacent Colombard vineyard. Lovely texture and freshness make this a perfect year round food friendly white. Reenen Borman is a name to watch in South African winemaking!